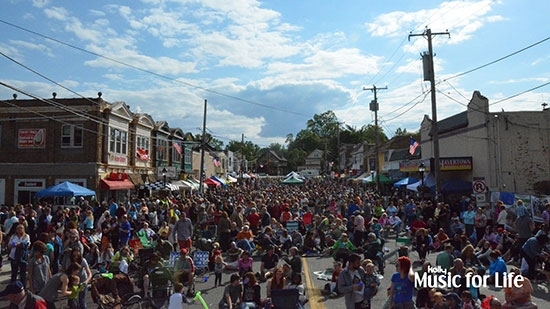 The 4th Annual Haverford Spring Fest Music And Arts Festival sponsored by ACME Markets returns this Sunday, May 7th, Noon - 7pm, on Brookline Blvd at Darby Road in Havertown, PA. The event is Rain or Shine. This all ages, family friendly festival features live music, art, food, beer and wine, local vendors, the Kids Super Fun Zone for children and more. The Haverford Spring Fest will be broadcast LIVE on iradiophilly. Listen on the FREE iradiophilly mobile app or online: http://www.iradiophilly.com/haverfordspring. Listen before/after you come, or tune in if you can't make it. A $3 donation will be requested upon entry. The donation includes a full day of music and re-entry privileges. The Haverford Spring Fest is funded 100% by donations, not taxes. The Kids Super Fun Zone also has all day play passes for sale. The festival is produced by Kelly Music For Life, a 501c3 non-profit dedicated to improving lives and communities through music. All proceeds benefit music education, food banks, and community initiatives in the Haverford Township Area.